Take a step to change the dynamic of your physical state. Do a workout. Go for a walk. Have a 5-10 minute dance party. Break up the monotony of your down-trodden routine and inject some life into the dark place where you have found yourself. He literally called him to change his physical state as he an act of healing. Our healing happened at the cross, and is happening every time a sister or brother comes to Christ as their Savior! It’s backdated to the date Christ death in sacrifice for our sins. How cool?! So, don’t live in defeat. Do something to change your flesh and invigorate life. In Genesis 32, Jacob wrestles with a man all night, and refuses to give up until he receives a blessing. This man was was God, who said, “Let me go, for the day has broken.” But Jacob said, “I will not let you go unless you bless me.” Jacob’s determination was either ridiculously arrogant, or so firmly rooted in his confidence that he deserved the blessing that he was reckless enough to cling for dear life and demand it. Cling for dear life to your identity in Christ! You have been granted blessing! For as much as you need to wrestle, you also need to rest. The more you fight quicksand, the further stuck you become, right? 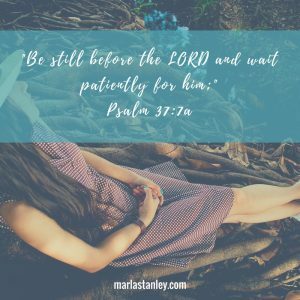 Are you allowing God to fight for you? Are you resting in His sacrifice? This is an often-missed and foundational principle and action step that every believer needs to not just understand, but apply and develop skill to have a successful Christian life. According to Larry Pierce, creator of the Online Bible, the Outline of Biblical Usage is, “renewal, renovation, complete change for the better”. Consider fixing up an old car, restoring a piece of furniture, or even fixing a bad dye-job on your hair! These things have to be completely renewed to bring them back to their glory. This has to happen in your mind on a daily basis. Get in God’s Word! Find at least one small thing to be grateful for–this doesn’t have to be the trial, or some super-spiritual aspect of your life (though that’s great if you are there). Just a small thing: what you ate for breakfast, the fun shoes you are wearing, or getting a parking spot. God cares about every detail of your life, and you can honor Him even in the deep by practicing gratefulness. Rejoice over something good in your life!